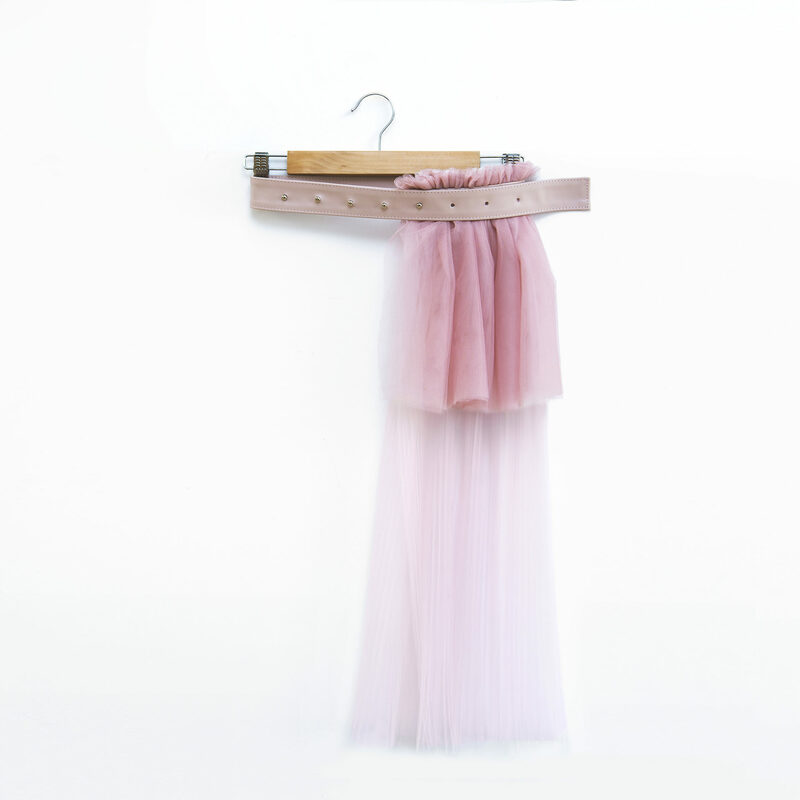 Belt skirt with soft tulle. Light pink color. Leather belt. Features metal hardware.